The Reserve Bank of India (RBI) has made it mandatory that property purchased abroad has to be in the name of all the family members making the remittance and not one single person. Under the Liberalised Remittance Scheme, the annual limit of $250,000 translates into Rs 1.67 crore per annum for an individual. 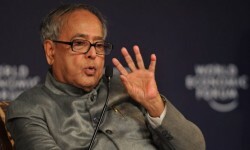 The goods and services tax regime (GST) became a law after President Pranab Mukherjee gave his assent to the Bill, which was ratified by more than 50 per cent state assemblies. The move has set the stage for the formation of GST Council which will work out the modalities of the law. The government is looking to implement the new tax regime from April next year. 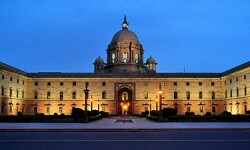 Clarifying its stand, the government said no adverse action would be taken by the income-tax department solely on the basis of information regarding cash deposit made under the unaccounted money scheme. The government said the information shared would be confidential and would not be shared with any law-enforcement agency. The Income Declaration Scheme closes on September 30. The Delhi Development Authority (DDA) will join hands with the Indian Navy to develop old-age homes, where retired government employees will be offered studio apartments on rent for a lifetime after paying Rs 10 lakh and a monthly maintenance charge. 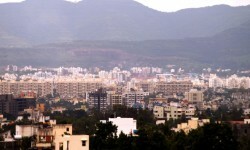 The Rs 462-crore project, which will have 1,550 studio apartments, will come up at Dwarka's Sector 16. The 2016 World Cities Report issued by the UN's department of economic and social affairs puts Delhi national Capital region as the second-most populous city in the world till 2030, adding a staggering 9.6 million people to its population. In another two decades, Hyderabad and Ahmedabad will join Mumbai, Kolkata, Bengaluru and Chennai as their respective populations too would cross 10 million.